The AMINO exobiology experiment supported by CNES was scheduled to be installed on the Russian module of the ISS on 23 December, but the EVA astronauts doing the job had to back-track after a last-minute electrical hitch. After lifting off 26 November 2008 to the International Space Station, over 300 km above Earth, the AMINO exobiology experiment was to be installed outside the station on 23 December to observe how certain organic molecules react to solar radiation. 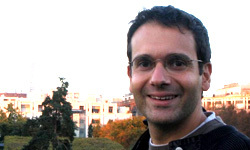 Hervé Cottin. Crédits : LISA. 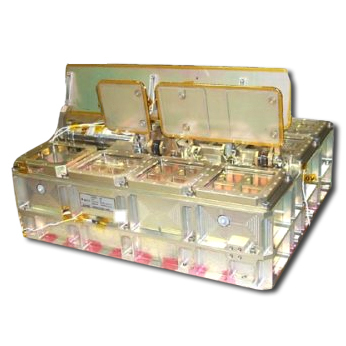 “AMINO was installed, but before returning inside the ISS the astronauts discovered a problem with the power supply to the Expose-R module that houses the experiment,” explains Hervé Cottin from the LISA* inter-university laboratory for the study of atmospheric systems in Créteil. “It was therefore decided at the last minute to dismount the experiment and take it back inside the station.” This was not the sort of Christmas present the science team working tirelessly on the experiment for years had been hoping for. The Expose-R module housing the organic molecules. Credits: LISA. At one stage, teams even considered bringing the experiment back to Earth. But the astronauts eventually succeeded in identifying and repairing the problem. 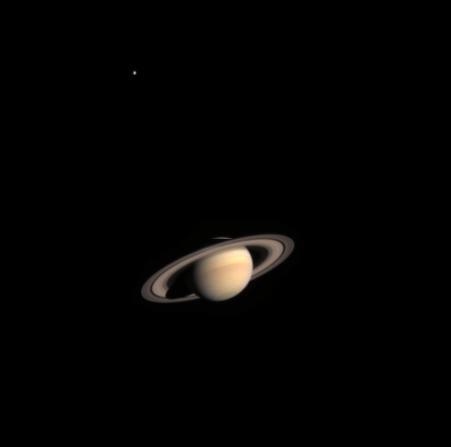 Saturn and the satellite Titan, top left. Credits: ESA/NASA/ASI. The principle of AMINO is to expose organic molecules to solar radiation so we can better understand the surface or atmospheric chemistry of other objects in the solar system, like comets, meteorites, Mars and Saturn's satellite Titan. AMINO will also study the effect of solar radiation on strands of RNA**. These experiments will inform research in exobiology, which aims to understand the origins of life on Earth and establish whether it could have appeared elsewhere. AMINO was prepared by LISA, CNRS's aeronomy research laboratory, the CBM molecular biophysics centre in Orléans and the Jacques Monod Institute, with support from CNES. . PROCESS, a similar experiment prepared by the same teams, is already in place outside the ISS where it has been exposed since February 2008.